Although a number of Indicators like Moving Averages etc. 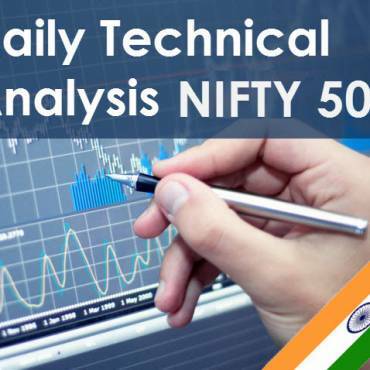 are providing bullish signals of Nifty50 Index, then I believe we have a Nifty50 short opportunity soon. As the image below indicate, then all Moving Averages and MACD Crosses etc, are giving BUY signals. BUT please be aware, that the Nifty50 Index is testing Resistanceline and might start to decline. 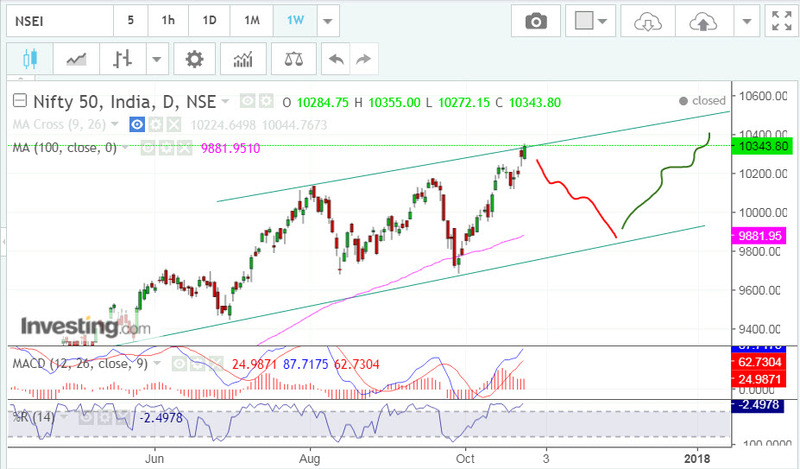 As seen on this image, Nifty50 Index is testing the resistanceline. 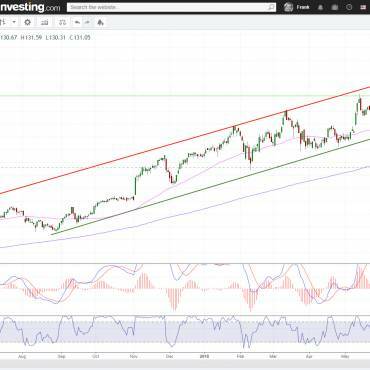 If the resistanceline reject the price, then we might have a heavy fall quite soon.